The effects of externally applied Castor Oil can be enhanced through the use of a "castor oil pack" — a piece of wool flannel saturated with the oil and applied to the body. Use of a pack allows the greatest penetration in a specific area of the body. The application of heat further increases this penetration, allowing the oil to better impart its qualities to the body. Instructions for the preparation and application of castor oil packs are supplied with each package of Home Health White Wool Flannel. Home Health creates truly effective personal care products based on traditional, natural ingredients. 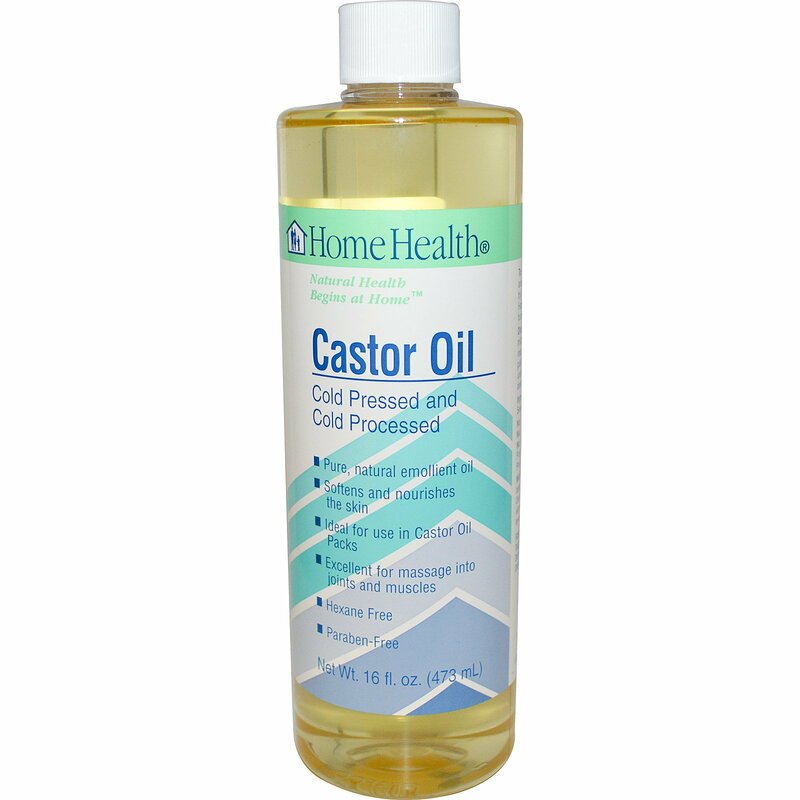 Our Castor Oil is the finest quality available. It is cold pressed, cold processed and contains no artificial ingredients. You can rely on Home Health to deliver the natural health products your family deserves. Cleanse the skin with a mild soap and water. Apply as required, twice per day. 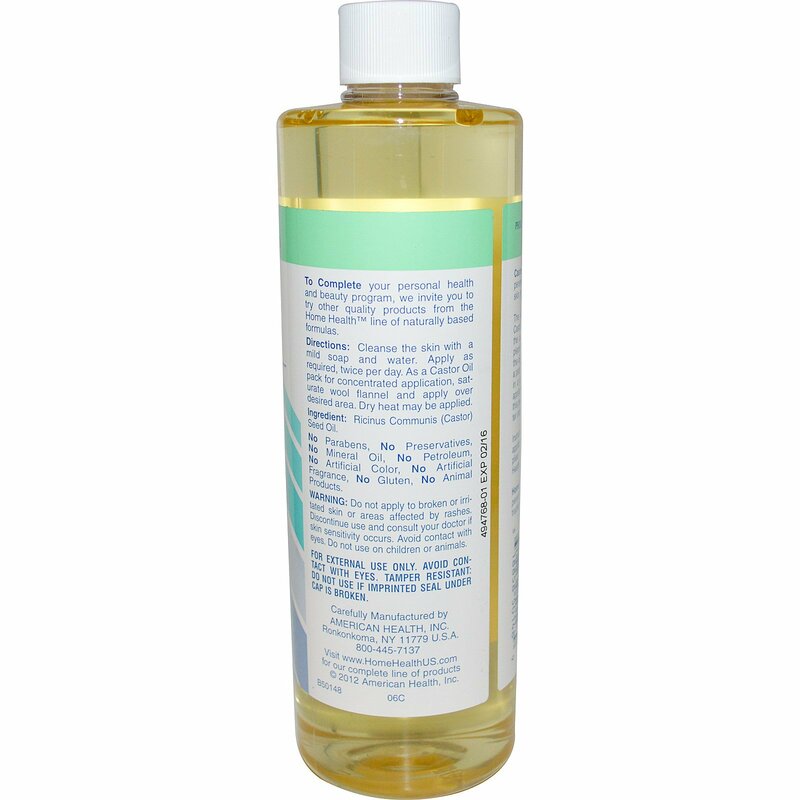 As a Castor Oil Pack for concentrated application, saturate wool flannel and apply over desired area. Dry heat may be applied. No parabens, no preservatives, no mineral oil, no petroleum, no artificial color, no artificial fragrance, no gluten, no animal products. For external use only. Avoid contact with eyes. Tamper Resistant: Do not use if seal under cap is broken.